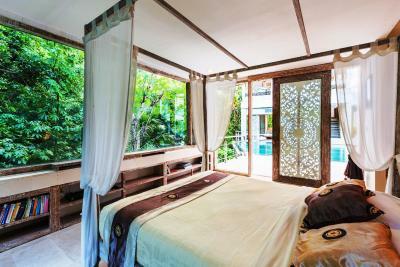 Lock in a great price for BoHo Hills Bali – rated 8.3 by recent guests! The staff are very sweet and very helpful. They helped make arrangements for my scooter which was waiting for me on arrival. 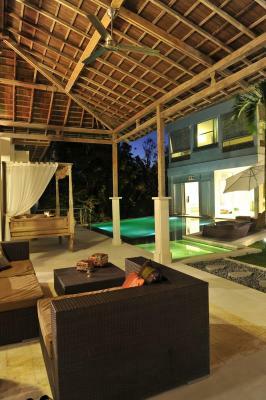 The villa is gorgeous and well styled. The staff were very nice. All of them. A special shout out to Dion who made our stay very pleasant. The rest of the staff were great too. 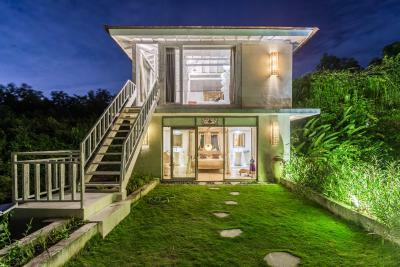 Its true that the villa is located quite remotely and is hard to find. Best is to come by motorbike as you will need it to get around for food and going to places. 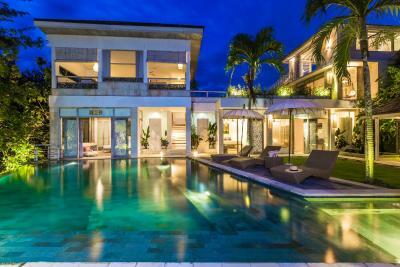 Super nice villa. Very tranquil and we really enjoyed the quitness in the middle of nowhere. There were some millepedes here and there but thats just due to the rainy season. Breakfast was good as well. It was magnificent place to stay. 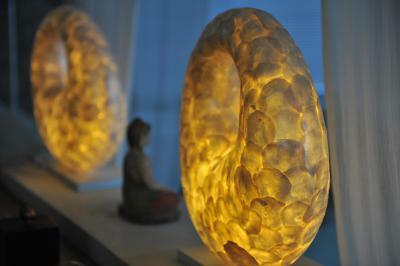 Recommended for couple. THe room was really confortable and clean, the breafast was really tasty and generous. We had a great welcome from the staff. The area is really quiet because the hotel is a bit remote from the main road and yet still really quick to get to the main points of attraction of Bukit peninsula. 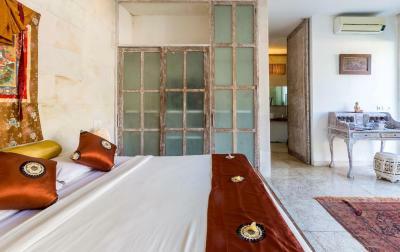 The rooms, beautiful design, decorations, friendly staff. The staff was really helpful. They ordered food for us and helped us make reservations for restaurants. We had a late flight, and they let us stay in our room late into the evening since no one was coming to stay in our room. First impression, we thought that we went to wrong direction since the location is secluded and near the cliff. but shortly after we arrived and saw the property, we were amazed with it. it was nice, pretty and private.the staffs were also really nice. We really enjoyed our stay there. 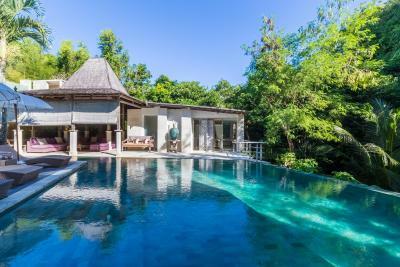 Absolutely beautiful villa, with absolutely amazing staff. Wish we could have had more than one night here but they were booked out. There are only 6 rooms, and a lovely communal space, so you actually end up interacting with other humans! So lovely and feels very homely. Location is far from some things but if you're looking for a peaceful quiet place to chill, this is it. Loved everything about this hotel except the road to get to it, needs to be paved. 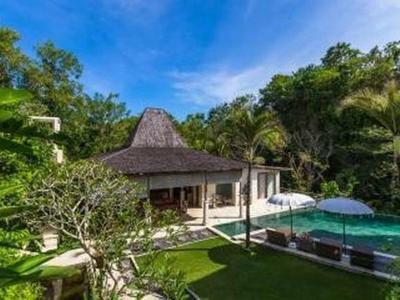 BoHo Hills Bali This rating is a reflection of how the property compares to the industry standard when it comes to price, facilities and services available. It's based on a self-evaluation by the property. Use this rating to help choose your stay! 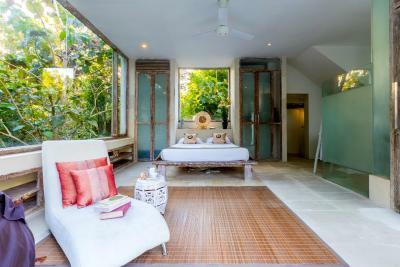 A modern Balinese-style guest house with open plan designs, BoHo Bingin Hills features a private pool and an open plan living space with elegant interiors. 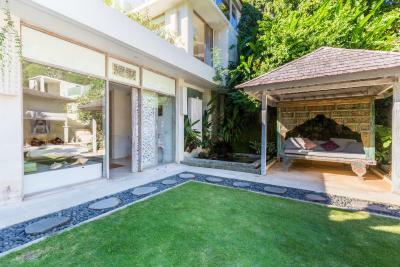 Offering free Wi-Fi access throughout its premises, the villa is a 10-minute drive from Padang Padang Beach. 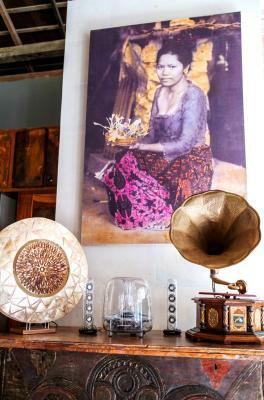 BoHo Bingin Hills is also a 10-minute drive from Uluwatu Temple and Garuda Wisnu Kencana Cultural Park. 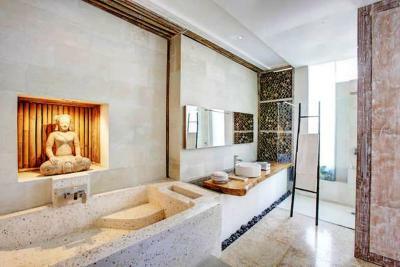 Ngurah Rai International Airport is a 30-minute drive away. Tastefully fitted with rustic wood furnishings, the ample living area is equipped with a flat-screen satellite TV, DVD player and an iPod dock. 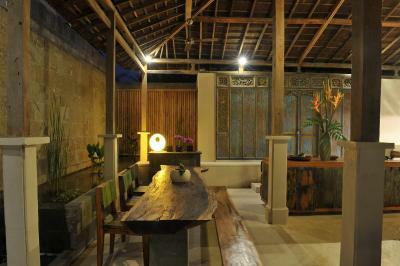 Guests can enjoy meals in the dining area. 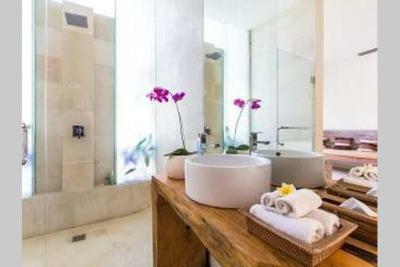 Each air-conditioned bedroom includes a private bathroom with free bath amenities and a bathtub or a walk-in shower. Area shuttles, car rental and airport transfers can be arranged by staff. Laundry service is also offered. 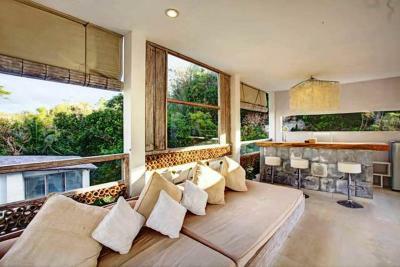 When would you like to stay at BoHo Hills Bali? 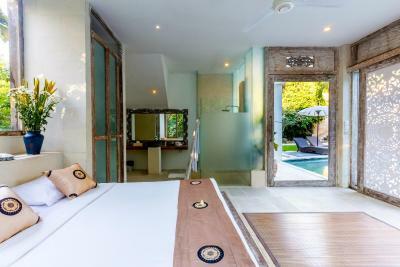 Enjoying direct access to the infinity pool, this room features views of Balinese countryside. It has air conditioning, a ceiling fan and a flat-screen TV. 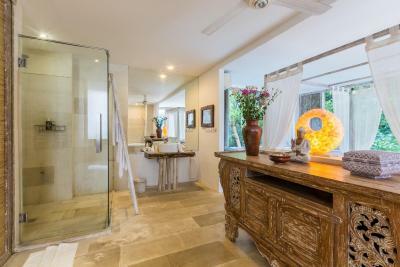 The private bathroom comes with a walk-in shower. 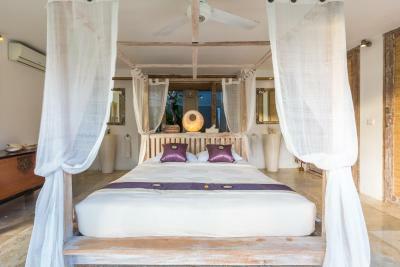 Located a few steps away from the infinity pool, this room enjoys views of the tropical garden. It has air conditioning, a ceiling fan and a flat-screen TV. 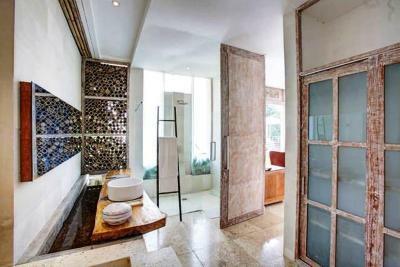 The private bathroom comes with a walk-in shower. 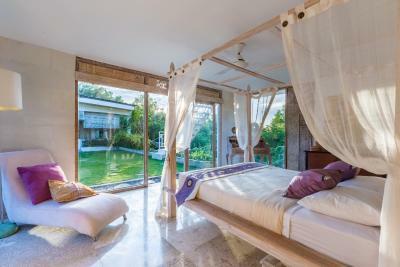 Enjoying access to the rooftop tropical garden, this room has views of the surrounding jungle. It has air conditioning, a ceiling fan and a flat-screen TV. 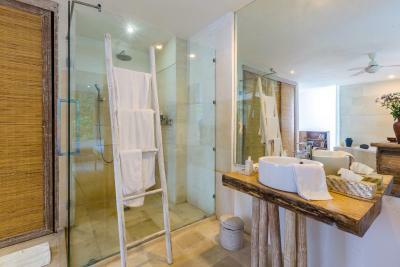 The private bathroom comes with a walk-in shower. 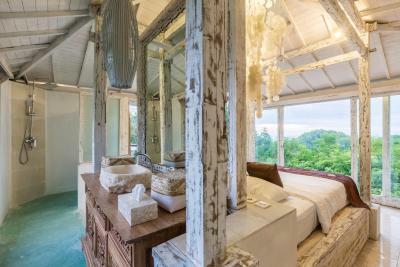 Located at the top of the property, this room opens up to panoramic views of the sunset over the ocean. It has air conditioning, a ceiling fan and a flat-screen TV. 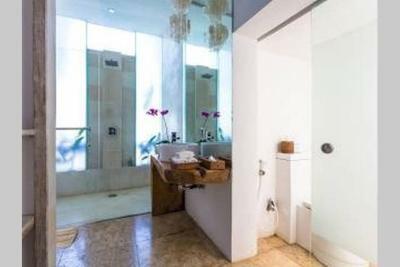 The private bathroom comes with a walk-in shower. 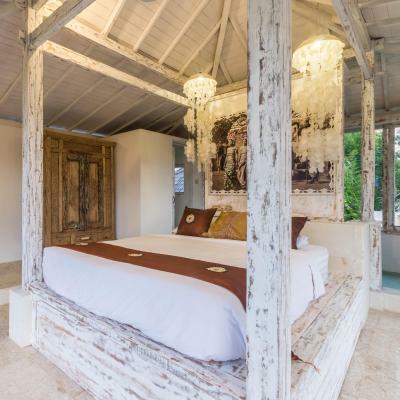 House Rules BoHo Hills Bali takes special requests – add in the next step! 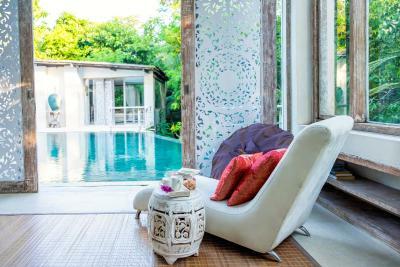 BoHo Hills Bali accepts these cards and reserves the right to temporarily hold an amount prior to arrival. 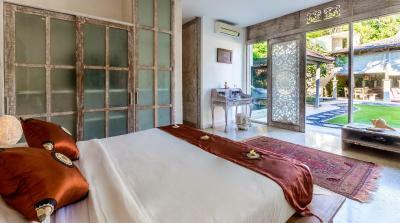 Please inform BoHo Hills Bali of your expected arrival time in advance. You can use the Special Requests box when booking, or contact the property directly using the contact details in your confirmation. The breakfast was the best, really good! Phenomenal place! 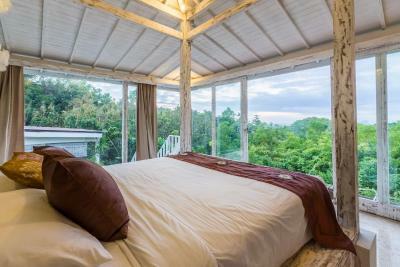 We Stayed in the Upper room overlooking the area and Jungle. Great! Friendliest staff which helps you with and Kind of inquiries. BEST breakfast! Don‘t miss the Avocado smash. Relaxed hideaway- Highliy recommanded! If you want to have the breakfast at the hotel, be ready to wait for some time and don't expect too much. There is one person responsible for making breakfast for all the guests and they have just a little kitchen with one stove to cook your eggs and bacon. Don't get me wrong, this is not a complaint, I'm just stating a fact. Another slightly negative thing I could think of is lack of light inside the rooms, there were no windows in the sleeping area and you get a feeling you wake up in a cave, but it's up to you to whether like it or not. The hotel itself is quite far from the main road, be ready for a long and bumpy ride on a village road. But the moment you step in the hotel territory all you notice is how quiet and peaceful it is. The lobby area is really nice, you can sit and chill there with a drink. The hotel is surrounded with greenery and jungle. 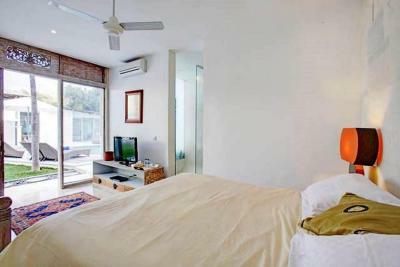 It has a very nice and modern design which makes it a very pleasant place to stay at. 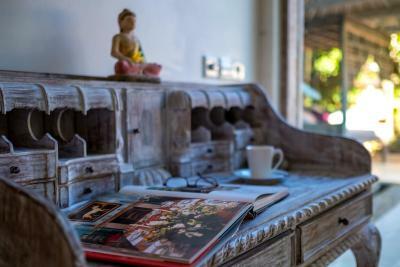 Boho Hills' staff were some of the most helpful we've met during our time in Bali, don't hesitate to ask for help and be sure they will do what's best for you. We were helped with the scooter rent and transportation to Nusa Lembongan (included hotel pick up, delivery to the port, fast boat and then delivery to the hotel there) for a great price. 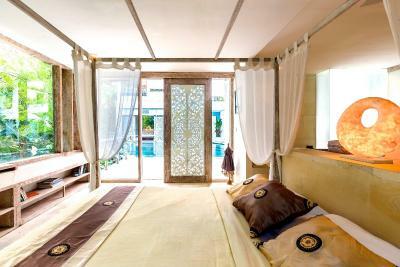 The rooms are very nice as well, the beds are comfortable and everything was clean. Adding a photo during the rainy weather, but it makes the place look even more romantic. 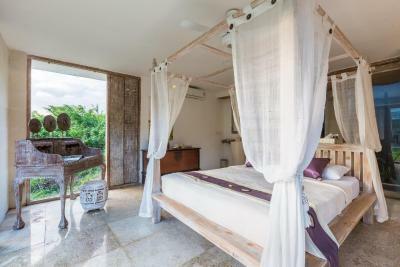 When booking beware that this property is about 10 minutes down a very rough unpaved dirt road with no lighting thru undeveloped land and jungle. This can be adventurous however when you are a single female traveler this is not the type of road you want to be traveling on alone in the dark. It can be hard to locate the villa off the main road especially at night unless you have GPS. Had I known these details I would have looked for a different villa. 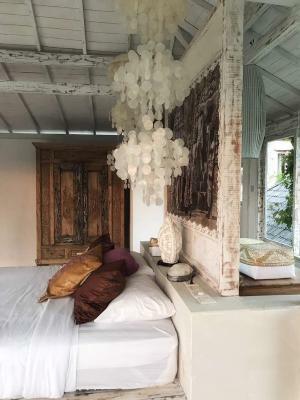 We really enjoyed staying at BoHo Hills: the room was beautiful and really nicely styled and we felt really relaxed. It’s a bit of a ride to get there but then you really stay at the border of the forrest in a very nice hotel! The staff was also very helpful. There were lots of milipedes in the bathroom, bedroom and hundreds of them crawling on the bumpy street that leads to the property. Probably it was the season when this milipedes come out to play. But it was not fun for me to stay in such property! The property was old and dirty. Could have managed better and do something to prevent the milipedes coming to the property. The lay out of the property is nice and quiet. The room and bath room is big size. However, it was so far off the main road and down a dirt track that it was quite hard to get there every time you wanted to go out. Also the toilet stunk. I liked how secluded it was and how quiet it was. The place was beautiful! 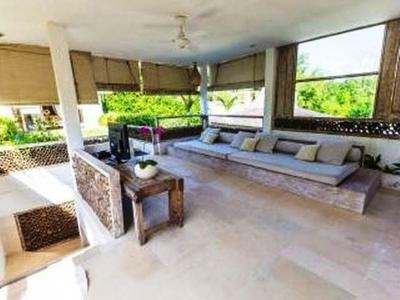 We had a booking at The Eyes Villa but when we arrived there everything was different from the pictures. Room, bathroom, bedsheet and towels were dirty and smelling bad. Staff rude and a lady trying to take money for anything. After 3 hours there we decided to leave and we found BoHo Hills as a last minute booking. BEST THING WE’VE DONE!!!! 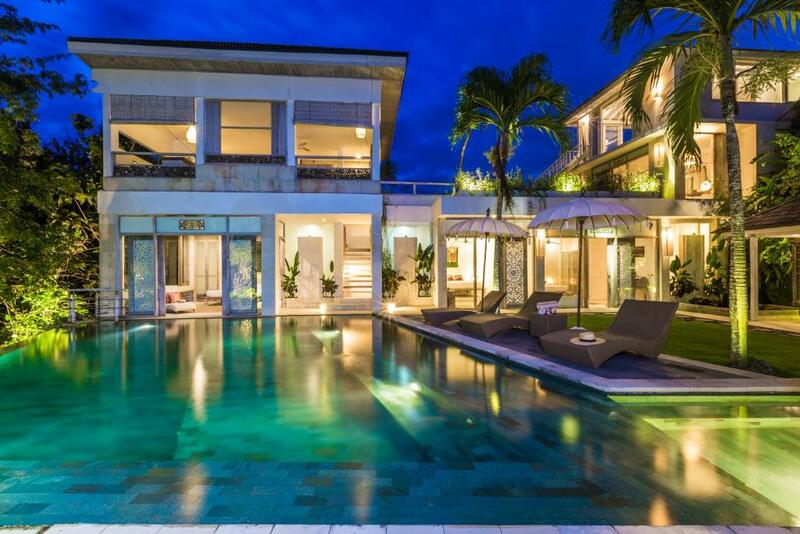 The villa is amazing! 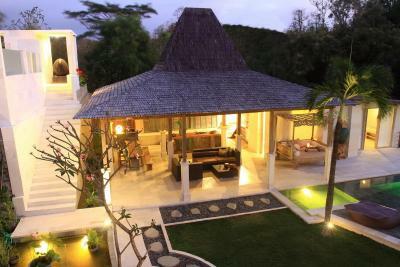 Nice garden, nice view, nice pool, amazing room and amazing breakfast. Not to mention the staff, always doing above and beyond for you. They were absolutely amazing. I have nothing to complain about BoHo Hills, could definitely stay there again and I’m going to recommend to any friend coming to Bali. 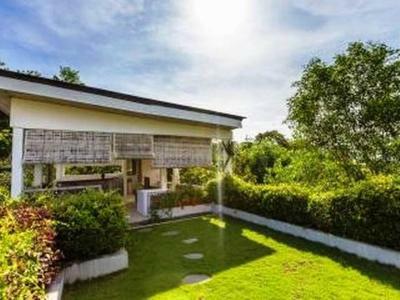 Place is quite and perfect to relax and have a good time with your family, friend or whatever. Thank you guys for everything! The location was a little tricky however this depends on what you’re looking for as for peace and quiet you need to be out the way. GRAB cars are handy in getting you into uluwatu and around if need be. 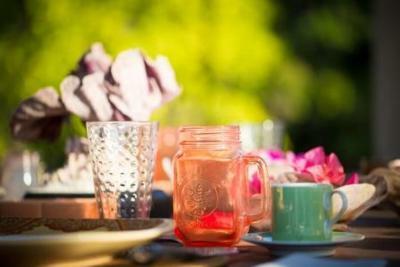 Might be nice if BoHo also offered a dinner option? BEAUTIFULLY AMAZING HOTEL AND SPLEDID STAFF. 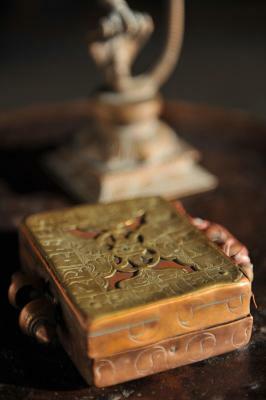 THE HOTEL IS JUST INCREDIBLW WITH A NICE COMFY SWIMMING POOL AND AN ASTONISHING VINTAGE DECORATION ALL OVERVTHE PLACE. THE ONLY PROBLEM IS THE LOCATION. 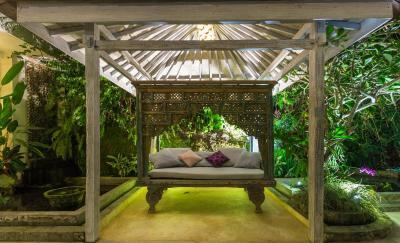 IF YOU ARE LOOKING FOR A VERY QUIET AND CHILLED PLACE THEN THIS IS THE PLACE TO STAY. 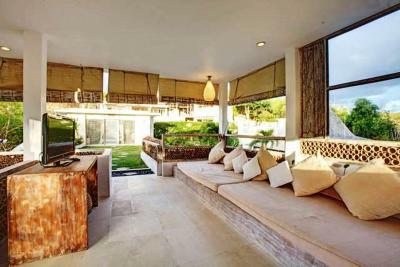 IF YOU ARE LOOKING FOR PARTYING AND FUN THIS IS A BUT FAR (20 MINS FROM ULUWATU BY SCOOTER). We loved it - staff, layout - a wonderful place to rest... We will be back! Location is 2km from main road and be ready for the bumpy ride along the way. The pool is great but bit dirty.